I hope yu like the story and the nu way of spelling too. Wire Dog’s ears went up when he hurd the wurd burd. He liked burds. “What is burding? asked Ellen. Her brother was glad she asked and he smiled as he explained it to everyone. “Well, it’s kind of like hunting for burds but yu don’t shoot them or thro rocks at them or anything like that. But yu du get to use binoculars or a good camera and a notebook. Yu try to sneek up on them without fritening them away, then yu rite down names of as many different kinds of burds as yu can. “Let’s go burding rite now,” said Ellen excitedly. Wire Dog coud tell that something fun was about to happen, but he wasn’t shur wat it was. “We don’t hav a good pair of binoculars,” said Ellen’s brother with a disappointed look on his face. “That dozn’t matter,” said Ellen, “Let’s try it anyway.” Then Ellen ran to her bedroom and grabbed a pencil and her notebook. Wire Dog followed her to her room. “Du we need to pack a lunch?” she asked her brother. Wire Dog followed Ellen and her brother out the door. Wire dog was excited even tho he didn’t no were they wer going. Wen they heded thru the back gate and toward the park, Wire Dog thot they wer just going for a walk, but suddenly Ellen and her brother both stopped and got very quiet. Up ahed a small burd had landed in a tree. Wire Dog perked up. He ran ahed and started barking. The fritened burd quickly flu away. Then Ellen’s brother told her to rite down the wurd, House Sparrow. The three burders sat down on the grass and got out Ellen’s notebook. She wrote down the name of the burd and then drew a sketch of what the burd sort of looked like. Wire Dog watched, but he didn’t understand why she was riting wurds and drawing a picture of the burd he had just chased away. He had never seen anyone du something like that before. When Ellen was finished drawing the burd, then they all got up and started walking again. The next time a burd landed in a tree, Wire Dog was the first one to see it. But this time he stopped in his tracks and waited for Ellen and her brother to see it too. When they saw that Wire Dog was standing very still and looking up in a tree they nu that he must be looking at a burd. “Good boy,” whispered Ellen to her dog; then she got out her pencil and started to draw again. 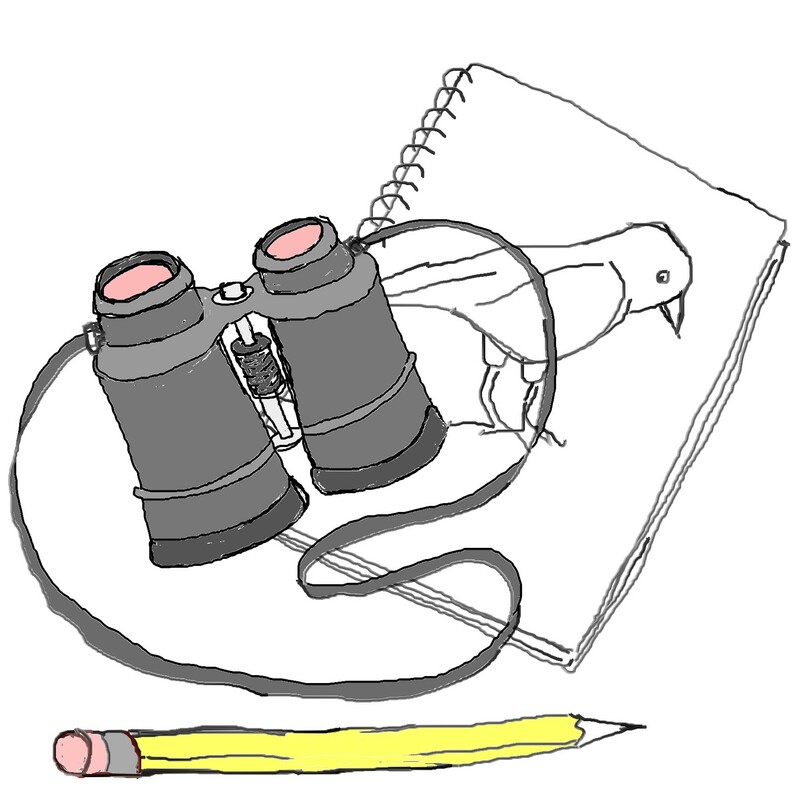 Her brother raised the binoculars and had a good look at the bird. As he handed the binoculars to Ellen he said, I think this one is a Robin. Yu can tell by the red chest. Ellen took a good look and then returned to her drawing. When she was finished they decided to hed back to the house so ther mother and father woudn’t start to worry about them. On the way home, Ellen reached down and patted Wire Dog on the hed and said, “You are a fast lurner Wire, now yu ar a real burd dog.” And they all had a good laff.